What is Virtual Girls’ Night Out? We all want to spend more time chatting with our girlfriends, but sometimes life is just too busy to get those girls’ nights out scheduled regularly. 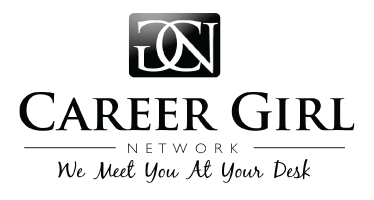 That’s why Career Girl Network in partnership with Brilliant Life Design’s Melissa Foster is bringing you Virtual Girls’ Night Out. So put on those pajamas, grab a bowl of popcorn, and settle in while Melissa talks with incredible guests every other week. This week on Virtual Girls’ Night Out, Melissa Foster is chatting with Career Girl’s own favorite financial fitness guru, Kelley Long. Kelley Long is a CPA and CFP® who believes that the true meaning of financial security means having choices in life. Formerly the head of her own practice, KCL Financial Coaching, Kelley parlayed the knowledge and experience gained from starting her own business into her dream job as the Director of Communications and Marketing for the Chicago-based CPA firm Shepard Schwartz & Harris. She’s also a volunteer and media ambassador for Feed the Pig and 360 Degrees of Financial Literacy and teaches BodyPump® in order to make sure she works out at least three times a week. In Kelley’s perfect world, everyone would feel great talking about their money concerns, fears, questions and problems, because then everyone would see that we ALL have those concerns, fears, questions and problems. Kelley lives in downtown Chicago with her sweetheart Matthew and their cats Miles, Izzy and Groucho.